Cait brings the pizza to The Bicycle Shop. I clock out of work and start setting up. 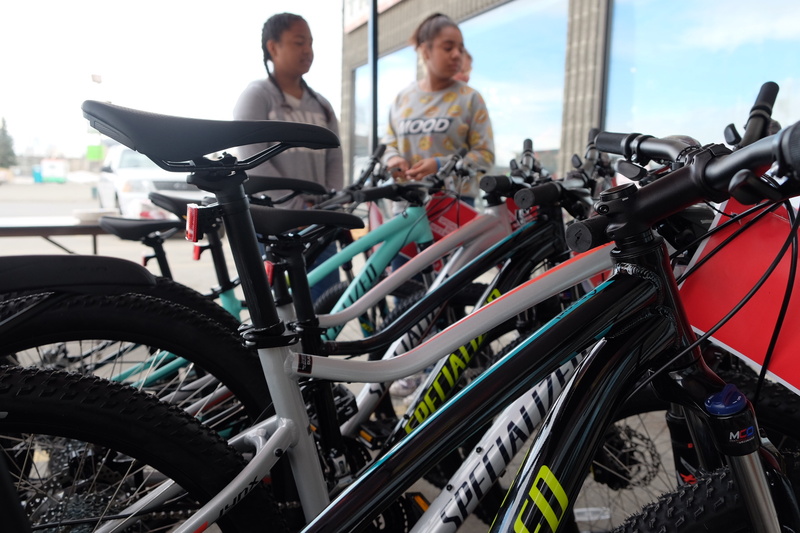 The bikes are upstairs– 11 brand new Specialized Jynx bicycles. Cait writes the names on the top tubes. Eleven names of eleven girls and I’ve only ever met one of them. We carry the bikes downstairs and park them out front of the shop. We write their names on helmets and set them beside the bikes. The girls start arriving. Fifteen minutes early, Jakira and Mhya are the first to arrive with Mhya’s mom. They look shy, but they’re not. They’re just polite. I tell them we’ll have pizza and soda and then have a lesson on safe riding. The rest of the girls and their parents file in. We welcome everyone and we all get some pizza. 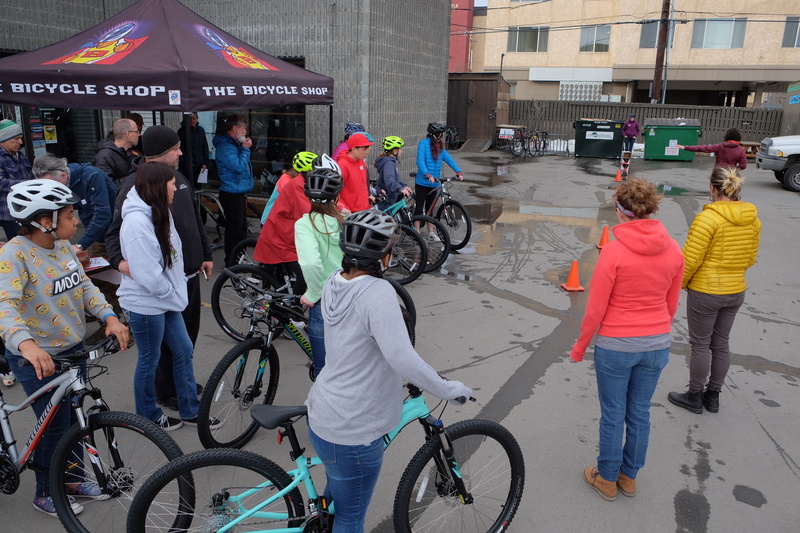 Lindsey and Kati from Bike Anchorage pass out packets and teach a class on bike safety. The girls are not too timid to answer questions. We learn how to signal and learn about general awareness while riding in the road. Then we all go outside so the girls can find their bicycles and helmets. We change seat height and tension helmet straps. Lindsey sets up some cones and one at a time, we practice signaling around turns in the parking lot. The next drill works on awareness. People stand at both ends of the parking lot. The rider passes the first person and has to look over their shoulder to see how many fingers that person is holding up. It’s windy and cold. There is still plenty of snow on the ground, but due to the zealous Bicycle Shop staff, the parking lot is clear of snow and ice. The girls are shivering. We call the lesson to a close. Our first real ride is the next day. 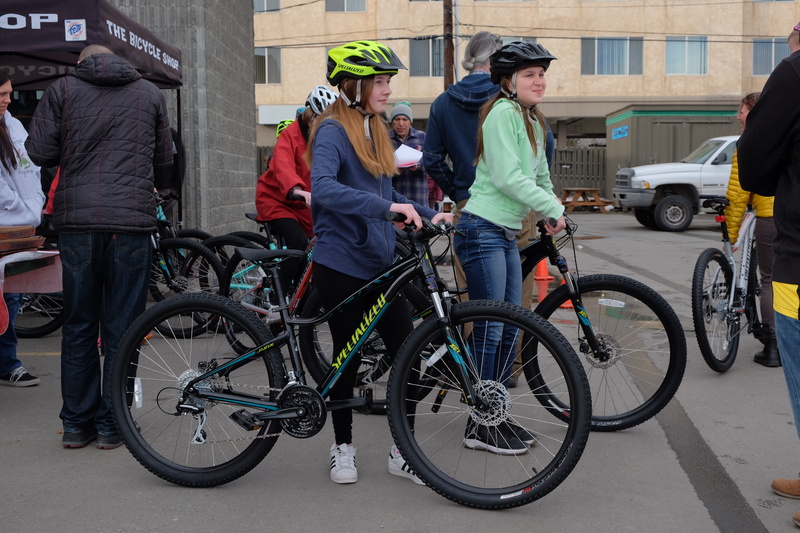 We will all meet at Steller so we can walk to The Bicycle Shop to pick up the new bikes and go for a ride. I get to the shop early and scramble to fill water bottles and mount bottle cages onto each of the bikes. I ride over to Steller at 2:45. Cait is there with snacks. The girls meet in Ashley Van Hemert’s classroom. Ashley is an old family friend. We haven’t seen each other for years, but got in touch over email. 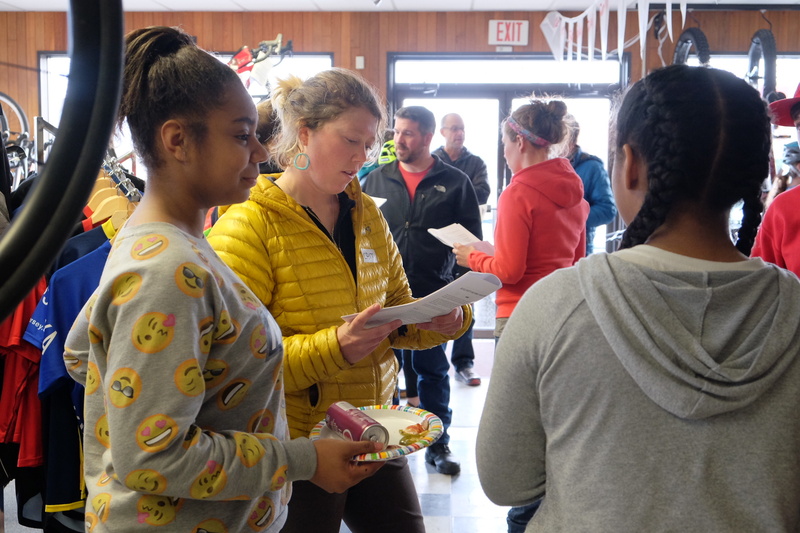 She helped select students for Anchorage GRIT. We asked the teachers and counselors from the two schools to nominate students that were hard working, motivated, would benefit from and enjoy GRIT and may not get this kind of opportunity. Five of the six girls from Steller are boisterous– full of stories and jokes and opinions. The sixth is introverted and spare with words, but the rest are kind to her. They know her and she is one of them. I’m relieved. I don’t know what I would do if they weren’t kind. While we wait for the girls from Begich, we find a place in the school to lock the bicycles between sessions. There is a portable classroom behind the school that locks automatically. It is only used by the band teacher for the first period. We can keep the bikes and snacks in there. The Begich girls arrive. Together we walk half a mile over to the Bicycle Shop. Christina and Sue meet us there. I introduce the GRIT girls to Mike Shupe, the owner of the shop. Mike opened The Bicycle Shop in 1964. It is the oldest shop in Alaska. Mike is in his 70s and still rides 9-15 miles to work every day. During the busy summer season, he works seven days a week and inspires us all to work hard, be kind and care about the community. Christina takes us on a tour of the shop. 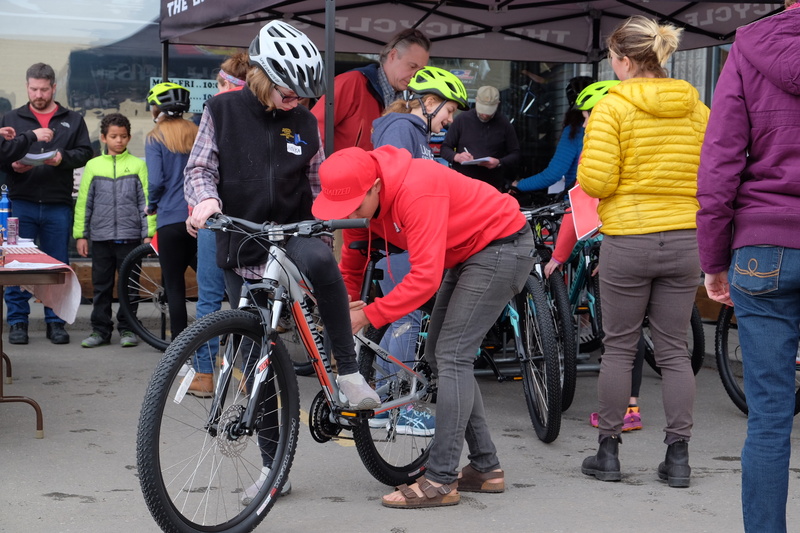 On any given day, there are hundreds of bicycles at The Bicycle Shop, both new bikes for sale and used bikes in for repair. It is amazing to see how they all fit in this three story building. We go out into the parking lot and Sue gives us a talk about shifting and braking. Then we head out to ride. The multi-use greenway trails are all still covered in snow, so we stick to the roads. Crossing the intersection of Benson Boulevard and the New Seward Highway, my mom honks and waves to us. Riding past the University of Anchorage, Kristen Shupe, Mike Shupe’s daughter, honks and waves at us. Anchorage is the biggest small town I’ve ever experienced. We hop on a short stint of the Chester Creek Trail. The girls push their bikes through snow on an overpass. Inevitably one of them falls on the descent. The first of many falls that take my breath away until I know that they’re okay. We part ways at Tikishla Park. The Steller girls turn around to head back to their school and I ride with the Begich girls to the east side of town. We ride past my old high school and then past Russian Jack Park, up busy Debarr Road and through neighborhood streets back to Begich Middle School. The girls are tired. We rode 9 miles across town. It totally is. 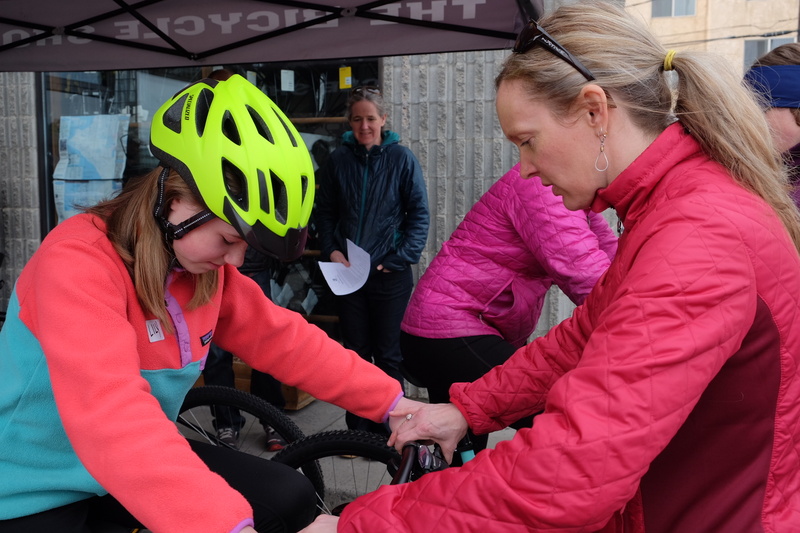 On April 10, 2017 Eleven 7th grade girls and 5 mentors rode their bikes across Anchorage. This is the start of Anchorage GRIT. Hello Lael, Thanks for giving these young folks a step up to safety and bike operation. It can save lives when your stressing the riding skills. 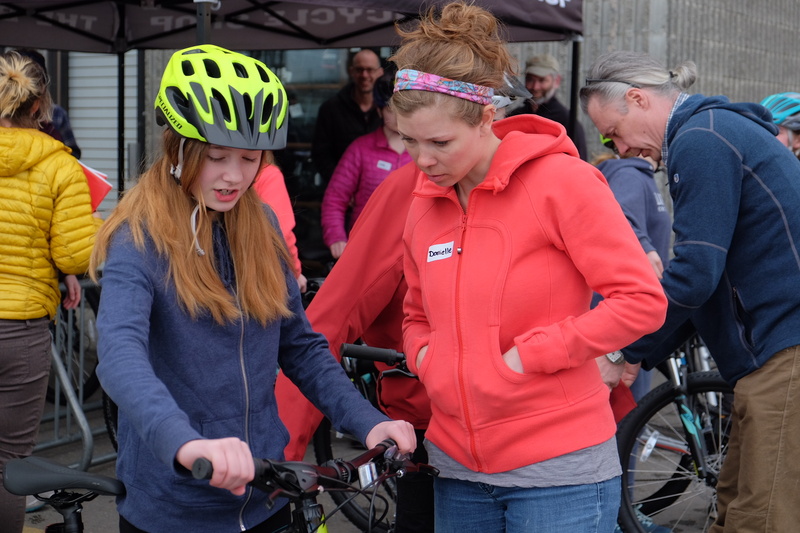 They will have a whole new world ahead of them and you can instruct them in the art of “dot watching” biking events that are getting started soon. My friend Keith told me about your adventures which I have been following since your Africa trip. Enjoy all your posts and sharing the great adventures.